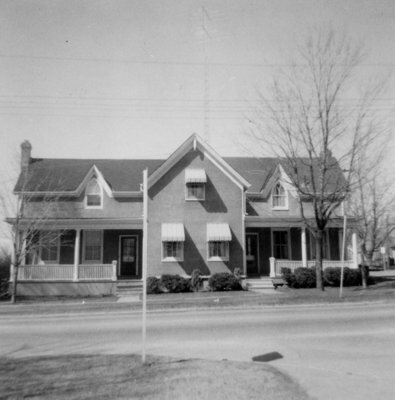 A black and white photograph of 500-502 Dundas Street West. Front view of 500-502 Dundas Street West. 500-502 Dundas Street West, April 6, 1969, Brian Winter. Whitby Archives A2013_004_005.